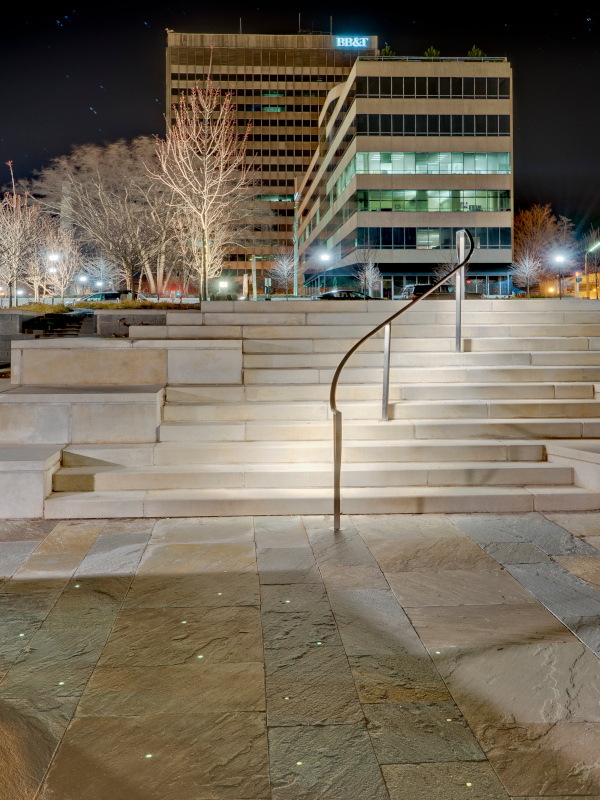 Pack Square Park - Prolume, Inc. Downtown Asheville’s historic public square has been a central focal point since the city’s creation in 1797, lying at the intersection of ancient trading paths. 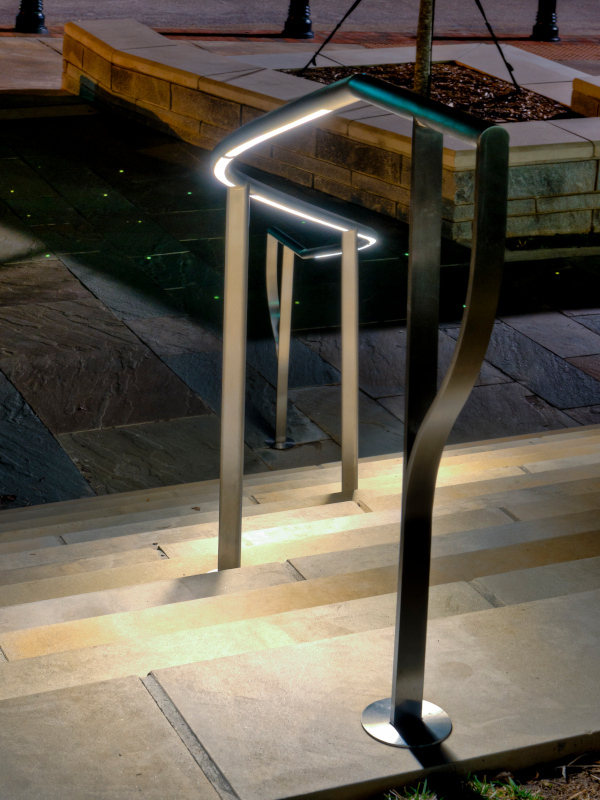 Legacy Series LIA was used to provide the lighting in this uniquely designed serpentine shaped handrail located in Asheville’s beautiful Pack Square Park.